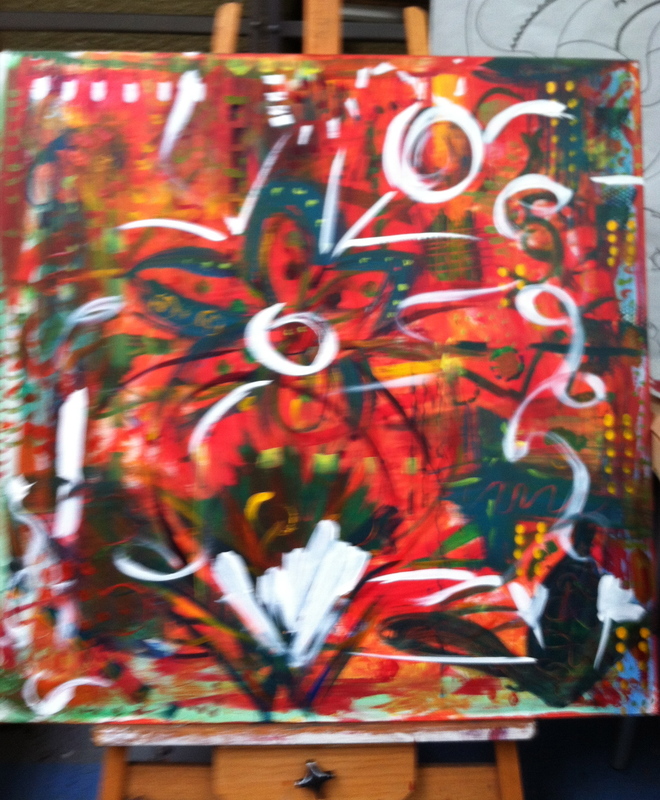 The ARTbar Studio/ARTstarters - Expressive Painting! Plus a supply fee payable at class, depending on canvas size you choose (starting at $20 for 18" x 24" large canvas). No experience necessary - in fact, beginners have an easier time letting go and expressing themselves through paint!! Paint as the Spirit moves you while we play music that inspires you and celebrates our creativity! We'll show you how you can incorporate your intentions, prayers, quotes, song lyrics or poems into your painting -- and turn a playful expression into a finished painting as you see the image start to emerge. Or you can just bring your own music/headphones and paint however you like. No rules here! For those who want more guidance, we'll share an easy 4-step process to guide you. You can follow our easy suggested design, or better yet, learn how to create your own unlimited designs, for those who want to continue painting on their own. Absolutely no experience or talent is required. You’ll not only end up with a meaningful painting and have a great time, but you'll also learn an inspiring new process, color mixing and acrylic paint tips as a bonus! Limited painting stations available, so save your spot with your paid registration. includes large canvas, along with all-you-can-use paint, acrylic glazes & mediums, stencils/tools, various paint applicators, and mixed-media supplies. * If choosing a larger size canvas, we invite you back to finish it at a reduced price of just $19 -- so please don't rush!! Note: you are always welcome to bring your own favorite paint colors, paint pens or other mixed-media supplies to add into your painting.